If Rosen is sitting there and we don’t take him we’ve failed. Plain and simple. Assuming Baker goes #1. Sam Darnold is not as good of a prospect as Rosen. If Rosen is gone that’s one thing. If we take Allen I give up. Not to mention he’s not even a fit for this system. I don’t understand it. Hopefully the bates reports are bull. I've felt the same way. But Darnold really has only played 1.5 years of HS football as a QB (he was an OLB his sophomore year before the starter got hurt and he missed most of his junior year) and 1.75 years at USC after the starter got benched. It was either Jordan Palmer or Trent Dilfer who said Darnold has a low football IQ but has the capacity to learn. The low football IQ is partly due to lack of experience. But, despite his lack of experience, he does have a good feel for the game and throws with anticipation. Those are all promising signs. I still want Rosen instead, but Darnold is a good choice. It's just going to take time for him to get there. Which is why I don’t want him. He screams mark sanchez 2.0. No IQ, didn’t play a lot in college, not a smart player and fumbles like crazy. Haha. I'm over here trying to convince myself he'll be a good pick. It was working until I read your post. Just going to have a few drinks and enjoy the draft. 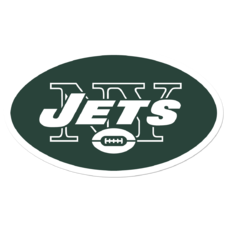 Going to just trust in Macc/Bowles/Bates. Just realized I may only trust one of those guys. I'll be a mess in a 3hrs. 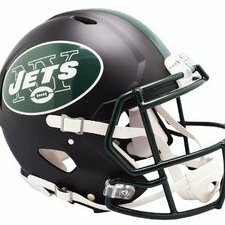 Jets are in the same situation as O'Brien-Marino's draft. You've been pushing Allen all this time. If we draft him, I'm hoping he is what you think he is. I would be pumped with either Darnold or Rosen, but the argument that Darnold won't be good because of the college that he went to is insane. For example.... take a gander at the QB histories of Oklahoma, UCLA, and Wyoming...... not great. In fact the best QB to come from either Oklahoma or UCLA is the same dude, Troy Aikman. He played at both schools, and was a good QB but not a great one considering he was behind the best O line possibly ever and had a great running game and Michael Irvin. I don't even need to mention Wyoming's QB history. Literally no other worthwhile QB's from UCLA or Oklahoma. He has the fastest processer mid play of any of these QB's. And throws with the most anticipation. Rosen has the clear edge on mechanics, and X and O knowledge. If Allen was a Jet and another screwed up qb, would you be our leader. Just a hint if you care, that 2nd fat dude is me. Try to postpone your fear for other 2 years. lol. I think i read that Mayock got 4/32 correct last year. I think I could do that.